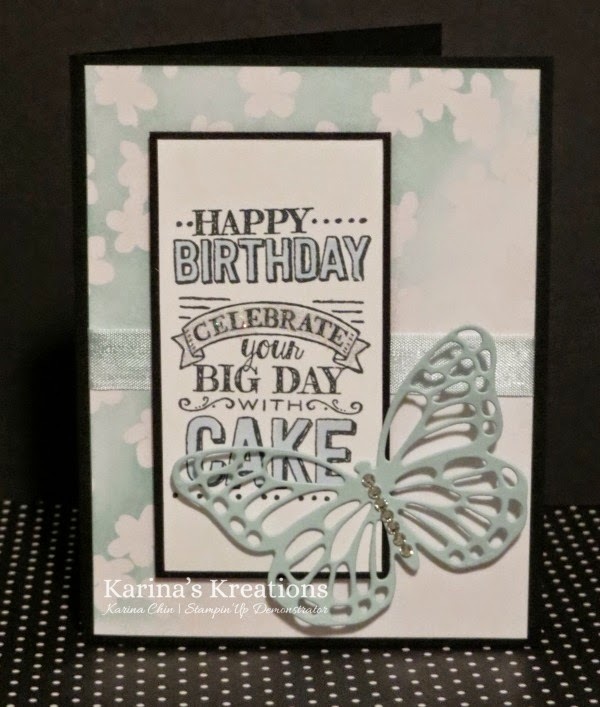 We're making this gorgeous card at my Sale-a-bration card class tonight. I cased a swap card I got from Sue Patrsyk. Isn't the design gorgeous? I have only used two colors on this card, basic black and Soft Sky. The greeting was colored in with the new Soft Sky Blendabilities. Stampin'Up came out with four new spring colors of Blendabilities. I used Fast Fuse to assemble my card. I love the strength of this product however it's not very forgiving. 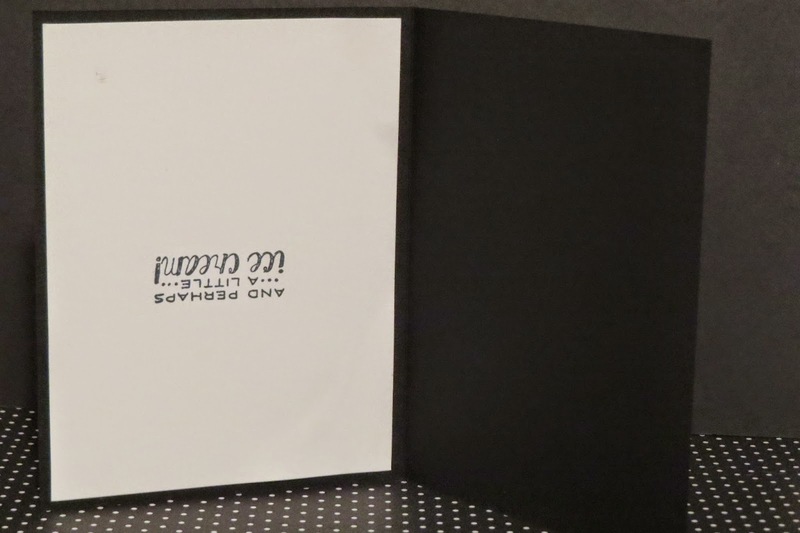 Do you see what's wrong with the inside of my card? LOL!